'Dismantle' have done it again this year!! 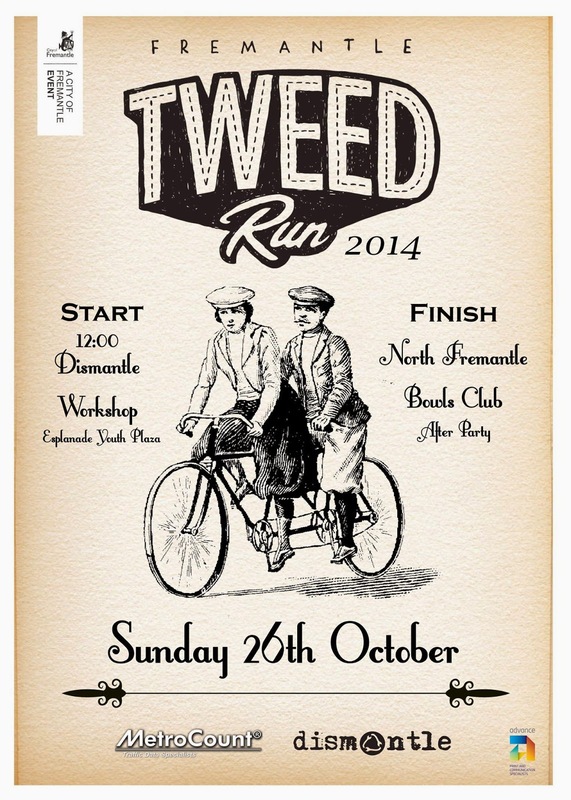 The Fremantle Tweed Run is on this Sunday, 26 October 2014. Those lucky enough to go will gather near the Dismantle Workshops on the Fremantle Esplanade where they will experience a fantastic afternoon of fun and laughter. Dress in your best vintage tweeds (Good Sammy's here I come!) 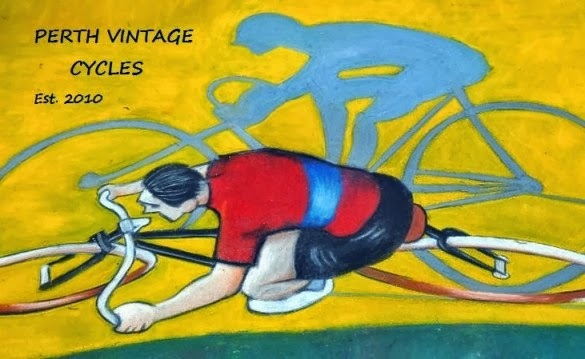 and bring along your favourite vintage bicycle to ride in the event. Don't be too concerned if you don't have a vintage bike, you can still ride a modern bicycle, just try and dress to the theme. Entry is free and no bookings are required. Search the web for similar rides to get the general idea, get into the spirit of the day and enjoy the experience of cycling! After gathering near the workshops on the Esplanade at 12.00 midday you'll be lead by the master of Dismantle ceremonies for the epic ride that will end up at the North Freo Bowling Club a little later in the afternoon. The ride won't be difficult, so don't be thinking that you need to be a cycling fanatic to participate! The ride will be easy and enjoyable. I am so disappointed that I can't make it this year, I have to go to a family wedding down south. Last year was a real hoot, I caught up with friends I had not seen in years! The good news is that the ride will again finish at the North Fremantle Bowling Club which is such a great venue. After the ride play bowls if you wish, but more importantly quench your well earned thirst with a cleansing ale as you soak up the vibes of yesteryear. Check out the Freo Tweed Run page on Facebook for more info. Dismantle do a great job, please support them when and where you can!